I often think we are so fortunate to be living in times of great performers and artistes like American-born David Blaine, a magician-illusionist and high-profile endurance artiste who has carved a name for himself in the history of magic. Born David, Blaine White on April 4th 1973 to a Russian / Jewish mother Patrice and father half Puerto Rican and half Italian descent, William Perez, a former Vietnam Veteran. David remembers seeing his first magician at age 4 in the Brooklyn subway that sparked his keen lifelong interest. He attended numerous schools in Brooklyn and remembers attending the Passaic Valley High School when they moved to New Jersey when his mother remarried when he was 10 years old. 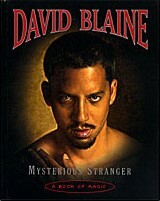 At age 17, David Blaine relocated and settled in Manhattan New York. “David’s deceptively low- key street theatre, ultra-cool manner is a show within a show and is the spontaneous visceral reaction of people being astonished”. USA Today magazine called Blaine the “hottest name in magic right now”, immediately after the special T V show aired. 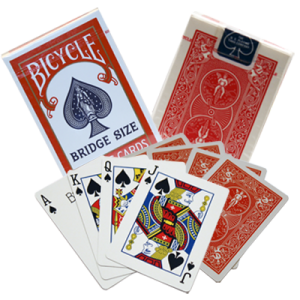 As well as bringing refreshingly new close up magic to the street with clever card tricks, coin and bill tricks he would on occasion mess with people’s minds performing weird mentalism. At the same time he began to introduce some quite spectacular stunts that were not only mystifying but decidedly dangerous. On May 19, 1997 he was entombed in a clear plastic casket under a 3 tonne water filled tank for 7 days, almost opposite Donald Trump’s New York building. This was titled ‘Buried Alive’ where he fasted in the confined space eventually emerging safe and well. On the day he was brought up hundreds of newsmen and many thousands of spectators were present. In November 2000, Blaine was ‘Frozen in Time’ within a solid block of ice situated in Times Square, New York. A small pipe supplied him air where he remained for 63 hours, 42 minutes before chain saws cut him free. Although chilled to the bone he was never the less none the worse for his frozen ordeal. During this stunt he was a seen visibly within the ice on a raised viewing platform. Once again this frightening stunt brought him tremendous publicity. Then on May 22, 2002 a massive crane lifted David Blaine onto the top of a 100 foot high pillar in New York’s Bryant Park. Here he stood unharnessed on a tiny 22 inch platform, high about the spectators. Although there were two retractable handles in case of high winds or harsh weather. The stunt was aptly called, ‘Vertigo’, and after 35 hours he finally jumped into a nest of cardboard cartons below unharmed but with a slight concussion. For the next few years David Blaine continued to amaze and confound his growing audience in a number of exceedingly dangerous stunts and spectacles subjecting his body to physical discomfort and the danger of electrocution by exposing his body to millions of volts. David suffered deprivation of oxygen while encased in a Plexiglass case while suspended above the River Thames in London. This stunt lasted 44 days with no food, only 4.5 litres of water per day. His ‘Drowned Alive‘ Spectacle subjected his body to more extremes of discomfort and danger. He was encased within an 8ft diameter, water filled sphere filled with isotonic saline in front of the Lincoln Centre, New York City. He remained inside the sphere for seven days and freed himself from handcuffs and chains upon his release. He undertook tests at Yale University where a study was made on the human physiological reactions to prolonged submersion. In 2006 Blaine began his ‘Revolution Stunt’ where he was strapped to a rotating gyroscope without food or water initially for 16 hours but continued the stunt for 52 hours. 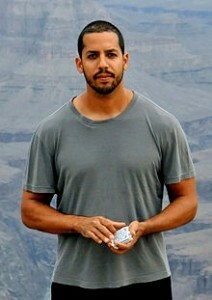 Throughout his career David Blaine has managed to have his name listed in the Guinness Book of Records for various achievements and appeared on the Oprah Winfrey show where he attempted to break the world record for holding ones breath underwater. Blaine spent 23 minutes inhaling pure oxygen but missed the attempt. However at his next attempt he held his breath for 17 minutes 4.5 seconds, surpassing the previously held record for 16 minutes 32 seconds. This is an extraordinary physical feat of endurance and stamina. David Blaine has performed privately for a number of high level dignitaries including ex-President Clinton and Hillary Clinton, Bill Gates, Henry Kissinger and ex-President Bush, as well as a number of celebrity movie stars. David makes annual visits to children’s hospitals and burn units in the USA and elsewhere, like summer camps for seriously ill children. He is something of a philanthropist and often performs at no charge for deserving charities. Something that has always fascinated me are the “Water Spouters”, and ‘Stone Eaters’ who performed in Europe around the late 16th century. Stone eaters were rare individuals who were able to ingest small stones and later pass them as sand. The water spouters of about the same era would quite spectacularly drink large amounts of water and later the ingested water would pour from their mouth in a controlled stream into a receptacle. David Blaine was also fascinated when he became aware of a very old 1930 film clip of a man called Hadj- Ali who not only swallowed water but kerosene as well. In Ali’s act he would set fire to a small cardboard castle then having swallowed the kerosene would stream it from his mouth onto the flame, igniting the whole castle. Then he would stream a long jet of water onto the castle flames putting out the fire. David Blaine scoured the world for information about this extraordinary feat till he discovered an African in Liberia called Winston Carter who was a self-taught water spouter. Travelling to Africa to meet with him, Winston Carter actually taught David Blaine this remarkable stunt using controlled stomach muscle movements and contraction with regurgitation, long forgotten by modern day performers. Back in America, David practiced for a long time to perfect the skill needed to spout water and eventually demonstrated this feat for his Hollywood friend Woody Allen where he not only swallowed the water then spouted it but brought up 2 goldfish after swallowing them as well. Blaine then performed his combined water and kerosene spouting at Roberts De Nero’s home for a special occasion where he also succeeded in dousing the kerosene flames with regurgitated water from his stomach. He now sometimes performs versions of this very different ‘magic’, in the street. It is the most remarkable thing I have ever seen. I can only urge you to view the video on YouTube. ‘David Blaine Fire and Water’. It’s quite different. Perhaps not the sort of act one would see in cabaret these days, but nevertheless it would still make a remarkable act—an act that is hard to follow. David Blaine performs publicly about once a year but what he does is distinctly different, as he performs in the street then quietly walks away from the amazed spectators. David Blaine has become a legend in his own right in the history of magic, and that’s his lesson for us to learn from. His Magic is deceptively low-key, leaving his audiences more amazed than if he was a Mr Razzle Dazzle magical performer. 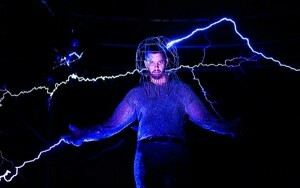 David Blaine is a really cool magician indeed. For more detailed information video clips simply Google: “Winston Water Spouter” & “David Blaine Water Spouter” and “Hadj-Ali Water Spouter”. Very nice article John.. Very detailed, easy to read, and I enjoyed the added videos….